Dorek has no sense of achievement in life. As a boy, he was obsessed with a girl who lived opposite him and finds it difficult to relate to other people. This is a result of his deafness and his uncertain sexuality. He relies on his best friend, Mungo, for companionship. Nonetheless he has strong political views about the Polish and the EU, now very topical! Unexpectedly his fortunes change and through learning about his family history and the surprising connections he uncovers, Dorek finally finds fulfilment and an inner peace. 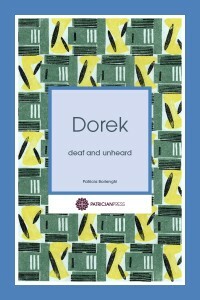 Dorek is the last in a trilogy by Patricia Borlenghi. The other titles are Zaira and Clarisse.